George Coyne is a Canadian scientist, philosopher, author, educator and counsellor. In his 2017 book Notfinity Process: Microcosms-in-Motion he critiques relativity theory, the Copenhagen interpretation of quantum mechanics, and Big Bang cosmology, while promoting alternative models that do not contain paradoxes or contradictions. He also writes about a new paradigm for consciousness, which does not require anything other than brain functioning. He is a board member of the John Chappell Natural Philosophy Society, a scientific society for the philosophical study of nature and the physical universe. Coyne agrees with philosopher Nicholas Maxwell's https://en.wikipedia.org/wiki/Nicholas_Maxwell argument that science and philosophy need to be reunited into a modern version of natural philosophy. George Coyne grew up in the Metro Toronto area. His interest in understanding the universe beyond his own immediate environment began at about age five.Since his youth he has been exploring the ways that we connect to our environment, which led to his interests in philosophy, cosmology and theoretical physics. His interest in science began at about 5 years of age when first attempting to conceive of the Earth in the universe. Since his youth he has been exploring the wonders of the ways that we connect to our environment which led to his interests in philosophy, cosmology and theoretical physics. At age 11 he began wondering about the concept of “time” and began questioning conventional assumptions about it. By age 15 he no longer accepted that time was a flowing thing. Five years later he was sure that accepted definitions for time were invalid. He next began seeking definitions for matter, energy, and space, but was unable to find any that made sense. It appeared that scientists had no idea about how these concepts represented any particular thing or occurrence in the universe. To Coyne they appeared to be using their professional power to validate their views on these topics. Just prior to his 20th birthday he moved to Vancouver B.C on his own. At age 21 he began work in youth counselling, with very troubled clients. His first client was a 16 year-old boy, addicted to heroin and diagnosed as psychotic, who often stole purses for drug money. While walking in a park with Coyne, the boy threatened him with a knife and demanded his wallet.To create as much fear as possible, he pointed out the he was "crazy" so Coyne better cooperate. Coyne remained completely calm and told the boy that the staff in the receiving and diagnostic home he was residing in were much more mentally disturbed than he was. This seemed to be very true to the boy. He must have appreciated the fact that an adult had made a connection to his reality, and he put away the knife and was friendly toward Coyne from that moment on. In later years Coyne continued to develop this approach in which one is viewed as an ally by others as a form of nonviolent self-defense. Coyne also sees violent behaviour as containing an urgent message. When the message can be received, accepted and understood before the violent behaviour occurs, it removes the need for the violence. He used this understanding at age 25 to save his life when a group of men began to hit him and threatened to kill him. In his early 20s, Coyne began studying quantum mechanics and relativity physics. Many of the quantum mechanics books were about the Copenhagen interpretation, which appeared absurd. One of the biggest disagreements with this view concerned the concept that the universe cannot exist unless an observation occurs, or one makes a measurement. In 1981 Coyne became interested in David Bohm's interpretation of quantum mechanics because it did not contain impossible concepts, contradictions, or paradoxes, such as duality. However, he did not agree with Bohm's contention that one could alternate between holding deterministic and indeterministic worldviews depending on the situation. On August 1, 2014, Coyne started corresponding with Bohm's friend and associate, the late quantum physicist F. David Peat, the director of The Pari Center for New Learning. https://en.wikipedia.org/wiki/Pari_Center_for_New_Learning Coyne treasured his friendship with Peat, who encouraged him to expand on his blog on consciousness, which Peat read at http://thescientificworldview.blogspot.com]. Coyne began writing guest blogs for The Scientific Worldview web site in August 2015, including one co-written with Glenn Borchardt PhD. Coyne also contributes comments about blogs on that website. Coyne shares Borchardt’s world view, and considers him to be one of his closest friends. Coyne contends that there are invalidating problems with Einstein’s relativity, the standard interpretation of quantum mechanics and the Big Bang theory. Additionally he questions the idea of the psychological self as an entity. He proposes that it is merely a program in the brain. In Coyne’s view when a theory relies on invalid abstractions, he is willing to challenge its proponents regardless of how esteemed and powerful they may appear. If a theory has contradictions, then it cannot be valid. Coyne refuses to become emotionally invested in any theory, including his own. For him the search for truth is all that matters. Although he has many disagreements with the prevalent interpretations of quantum mechanics, Coyne was pleased to accept an invitation from philosopher of mind Paavo Pylkkänen https://en.wikipedia.org/wiki/Paavo_Pylkk%C3%A4nen, the co-host of the emergent Quantum Mechanics David Bohm Centennial Symposium, to attend the October 26th to 28th, 2017 conference in London, England. Presenters included many of the world’s 37 leading physicists and philosophers, including Sir Roger Penrose https://en.wikipedia.org/wiki/Roger_Penrose. Basil Hiley, Max Tegmark https://en.wikipedia.org/wiki/Max_Tegmark, Paavo Pylkkänen, and mathematical physicist Maurice A.de Gosson,. https://en.wikipedia.org/wiki/Maurice_A._de_Gosson, one of Coyne's facebook friends, who after reading Notfinity Process told the author that it's a great book. Coyne had an opportunity to confer with these researchers and many of the other speakers, participants and attendees. Notfinity Process: Microcosms-in-Motion, which critiques the Big Bang Theory, quantum mechanics and relativity theory was published on September 21st, 2017. In the category of new releases of physics systems titles, his book was number one in the United States and Canada from the day it was published on September 21st, and fluctuated in and out of the number one spot for its category for the first month. On September 22, 2017 Coyne had a lively and fascinating interview about Notfinity Process with Florida computer scientist David de Hilster. In November 2017 Coyne cancelled his agreement with the publisher. The second edition of Notfinity Process will be published by The John Chappell Natural Philosophy Society in April 2019. In the Preface of Notfinity Procss, Coyne stated that "he wrote the book because of my view that there are major problems with orthodox physics and cosmology models and my passion for sharing alternatives that better represent reality, which exists independent of human presence." 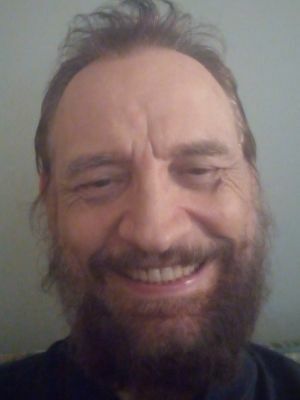 In March 2019 Coyne became an editor and writer for Science Woke, an online science magazine at www.sciencewoke.org His first article titled Big Problem with the Big Bang Theory will be appearing in Science Woke when the website goes online on May 1, 2019. Coyne has been asked to design and teach an undergraduate course—where students will learn about the the latest research on mind and consciousness—at the soon to be opened Chappell University, which will be offering online courses for credit. Coyne has not yet committed himself to teaching this. 1991 Counsellor Training Institute,Vancouver, B.C. Completed Professional Counselling qualifying exam. 1992 University of Waterloo: Social Development Studies. Coyne resides in North Delta, a suburb of Vancouver, B.C. In his leisure time he enjoys reading and writing on theoretical physics, and discussing his physics, cosmology and consciousness theories with others. He enjoys regular dialogues on an aether model of gravity, quantum mechanics and entanglement during walks with his close friend, Duncan W Shaw, whose intriguing papers on these and other topics appear in the peer reviewed journal "Physics Essays." Coyne is a proponent of a whole foods organic vegan diet and is known to encourage others to avoid junk food and to participate in exercises that they enjoy. This page was last modified on 10 April 2019, at 21:37.